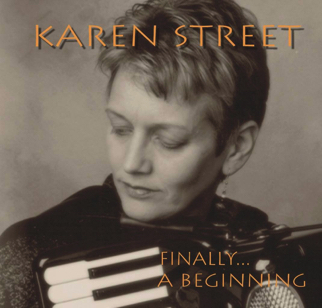 Karen Street’s debut album, ‘Finally... a beginning’ was released in 2001 and she has since gone on to record three more albums. All of Karen’s albums can be purchased securely on line at Big Shed Music. 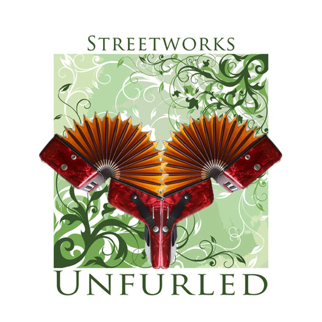 Unfurled is the first creative project with Streetworks, Karen’s drumless quartet of accordion, saxophone by the honey-toned Andy Tweed, guitar by ever-creative Mike Outram and powerhouse bassist Will Harris. This collection of memorable tunes reflect Karen’s wide ranging influences and are skillfully arranged and performed. 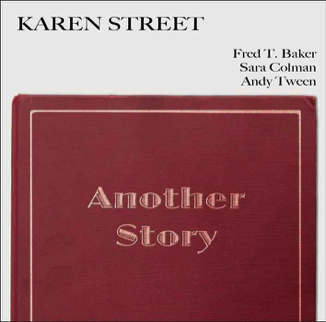 Another Story sees Karen’s musical partnership with guitarist Fred T Baker, first unveiled in her debut CD enhanced by the addition of award winning jazz singer Sara Colman along with talented drummer Andy Tween. In this album, Karen shares something a little different with arrangements of pop songs, standard tunes and original pieces. Finally... A Beginning, Karen’s debut CD, was released in 2002. It is a collection of original solos mostly for solo accordion featuring everything from contemporary jazz to folk and tango. She is joined on several of the tunes Stan Sulzman on saxophone and flute and Fred T Baker on guitar and bass. 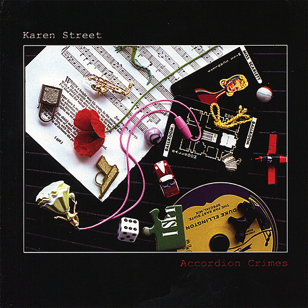 Accordion Crimes is Karen’s second CD where she develops the sound she created on her acclaimed debut CD, Finally... A Beginning. As well as Stan Sulzman and Fred T Baker she is joined by outstanding guitarist, Mike Outram. 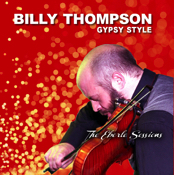 Original tunes and contemporary jazz arrangements. Karen performs with respected British jazz vocalist, Tina May, along with Nikki Iles (piano) and Julie Walkington (double bass) to celebrate the voice of Edith Piaf on this new release. After the serpent’s bite there is no turning back. 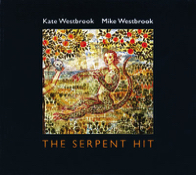 Mike Westbrook’s genre-crossing score combines Kate Westbrook’s voice with the saxophones of Karen Street, Andy Tweed, Chris Caldwell and the drums of Simon Pearson. The Nijinska Chamber celebrates the choreographer and dancer Bronislava Nijinksa. 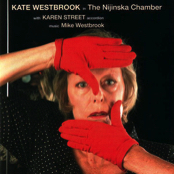 It features the words and vocal talent of Kate Westbrook, the music of Mike Westbrook with Karen Street on accordion. Karen joins Billy Thompson (violin), Andy Mackenzie (guitar), Eryl Jones (guitar and mandolin) and Greg Robley (bass). Also featuring special guest appearances by guitarist John Wheatcroft and Ivor Aldred on harmonica.